Many states will have differing divorce laws defining the division of property and the reasons to file for divorce. Although there are general state guidelines for agreements such as child support, conditions for spousal support and custody are also determined on a case by case basis. A Pennsylvania divorce lawyer will be able to guide you through divorce in Pennsylvania and achieve a favorable outcome to the case. You will be able to set up child support arrangements as well as dictate the terms of that agreement so that the outcome is favorable to both your needs and the needs of the child. The Pennsylvania divorce lawyer, through making a strong case, will afford you the flexibility to dictate some or all of the terms in the settlement or during the subsequent trial, if necessary. How do I know my Pennsylvania divorce lawyer is legitimate? The Pennsylvania Bar Association is a voluntary organization of Pennsylvania divorce lawyers and others that abide by a code of professionalism and ethics. You will be able to feel secure in the knowledge that you have a lawyer that abides by these professional codes and will have the entire resources of the Association, including continuing legal education and a professional network of similar lawyers that will be able to advise and guide the case. The Pennsylvania Bar offers a low-cost lawyer referral service that can connect clients to a potential Pennsylvania divorce lawyer that will able to take their case. This service charges $30 for a 30 minute consultation, $15 of which is returned to the lawyer referral service. If the lawyer you are connected to will not charge for consultations, which is common in personal injury cases, then the fee will be only $15, all of which is returned to the service. 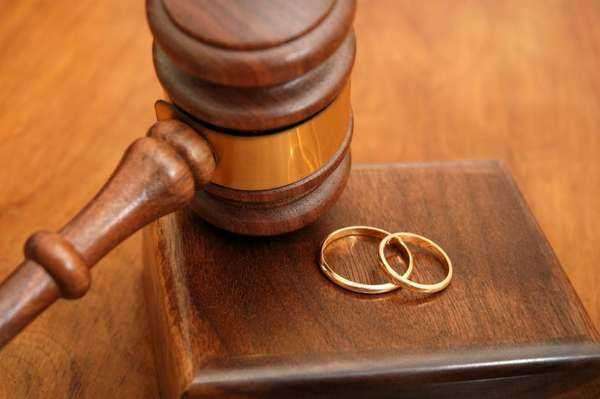 When seeking to file a divorce, meet with the Pennsylvania divorce lawyer to discuss strategy for the case. You should bring documents such as a listing of shared assets, agreements between the spouses and in cases involving spousal support, documents detailing the incomes and assets of the other spouse. The intention of spousal support is to maintain a similar standard of living for the spouse that makes less salary, especially if this spouse retains custody of the children. Many spouses will attempt to conceal assets to prevent its consideration into spousal support arrangements. If you have knowledge of such assets, you must bring this to the attention of the Pennsylvania divorce lawyer. How does child support factor for divorces in Pennsylvania? Although the ultimate determination for the level of child support is at the discretion of the court, there is a formula that accounts for cost of health insurance, existing support payments to other spouses and children and gross monthly income. This formula can develop a guideline for child support. With this formula a non-custodial parent with one child, an income of $60,000, no other alimony arrangements and contributes $500 to group health insurance, will pay a significant amount of support to a spouse with $20,000 gross income and no contribution to insurance. Using a typical Pennsylvania child support calculator, we can estimate that the custodial parent will receive roughly $1,181 a month from the non-custodial parent. This will help maintain the standard of living enjoyed during the marriage and also take care of the needs of the child. A Pennsylvania divorce lawyer will help you to determine guidelines for child support payments, or impose conditions on those payments if you are the non-custodial parent. Conditions could include requiring a portion of the payments saved for the child’s college education rather than having the spending at the discretion of the custodial parent. A Pennsylvania divorce lawyer can work with this formula to adjust the amount of payments to best suit your needs. The Pennsylvania divorce lawyer can also help defend the current level of child support in the event of a reassessment. Reassessments occur if there is a significant change in the financial status of either parent, or if the income paying the child support is derived from public support payments. What are some grounds for divorce in Pennsylvania? No fault divorces can happen with the mutual consent of both spouses. A no fault divorce can also happen when the spouses have lived apart for more than two years and the marriage is all but broken. In a mutual divorce, an amicable settlement can be reached grading the status of children, spousal support and division of property. What will I pay for the services of a Pennsylvania divorce lawyer? There are a number of factors that will determine the amount of fees that will have to be paid to a pennsylvania divorce lawyer. If the divorce is at fault and contested, ten this case will last longer and will entail more billing from the lawyer. If the divorce is amicable and no fault, then this option will not only be cheaper, but also might even be resolved at a flat rate and a few joint sessions with a Pennsylvania divorce lawyer that works with divorce mediation. Take advantage of free consultations when they are available to discuss potential fees and payment arrangements with Pennsylvania divorce lawyers. The above fees do not consider court costs, which are also paid by the client. You may be able to arrange low cost and extended payment for legal services at the discretion of the attorney or law firm. What are questions to ask Pennsylvania divorce support lawyers? How does my case relate to Pennsylvania state and local laws? How is gross income calculated in Pennsylvania for the purposes of child support? While the decision to end a marriage is never an easy one, divorce lawyers in Pennsylvania will make the process as pain free as possible. Before consulting with a divorce lawyer in Pennsylvania, ensure that your marriage is broken and that there is no hope for the marriage to continue. After you assess your situation, determine if you can pursue a no fault or mutual divorce. Choosing either of these options will be significantly cheaper than having both spouses hire lawyers and attack each other at settlement and at trial. Specialized divorce lawyers Pennsylvania will offer flat rate divorce mediation sessions to divide property, child support, and custody equitably. You can achieve this in just a few short sessions with a divorce lawyer Pennsylvania. You may also pay for this service hourly if you feel confident that you and your spouse will come to a solution in a matter of hours. Be warned that divorce can often be a lengthy and complex process. For at fault divorces be prepared to retain a divorce lawyer in Pennsylvania as you will need to prove as well as make the appropriate claims against the other spouse and legal representation.